Procedure to calibrate the Analytical Weighing Balance as Drift check, Performance check and Measurement uncertainty check as per USP. It shall be performed as per the manufacturer’s instructions. For the calculation of the drift 10 mg weight shall be used. Note down the 10 measurements of the 10 mg weight in the performance check log. (Attachment no. 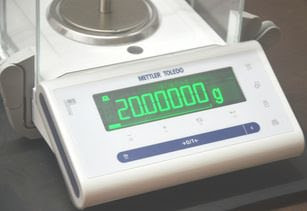 01) Variation in the observed weight from the mean value does not exceed ± 0.2 mg. The 10 mg weight shall meet the performance check criteria of the mass value i.e. 0.1% of actual mass value. E.g. For all the 10 measurements of 10 mg weight, variation in the weighing cannot exceed 0.01mg. The measurement of uncertainty shall be carried out by using 10 mg weight. Calculate the measurement of uncertainty as follows. Measurement of uncertainty shall be Not More Than 0.10. It shall be performed daily, after any maintenance, after the relocation and after the power failure of the balance. Each manufacturer supplies the maximum loading condition of the balance. The calibration of the balance shall be designed in such a way that the performance check weights cover the entire loading range of the balance. Lower and higher load limits shall be checked for the performance check. Before calibration make sure that the level bubble is in the center of the indicator and if internal calibration facility is available in the balance then it shall also be performed daily before performance check of the balance. Always use a check weight appropriate for the particular balance. E.g. a 100 – mg check weight might be selected for a balance that has a load limit of 150 mg. Thus the operator must know the maximum capacity of the balance to select the correct check weight. Can we take weight for analysis in-between of monthly calibration? You do not take weight in between your balance during calibration like monthly calibration. Firstly you complete the calibration of balance based upon evolution of calibration result you can use further for routine use. What do u mean by actual mass value in measurement of uncertainty? Exactly, it is certified weight of the standard being used. verification of balance is necessary after every power failuar. Verification of balance is necessary after power failure and movement of balance from one to another place. Whats the mean of drift. Drift is error in measurements. Is eccentricity test not required?